1. 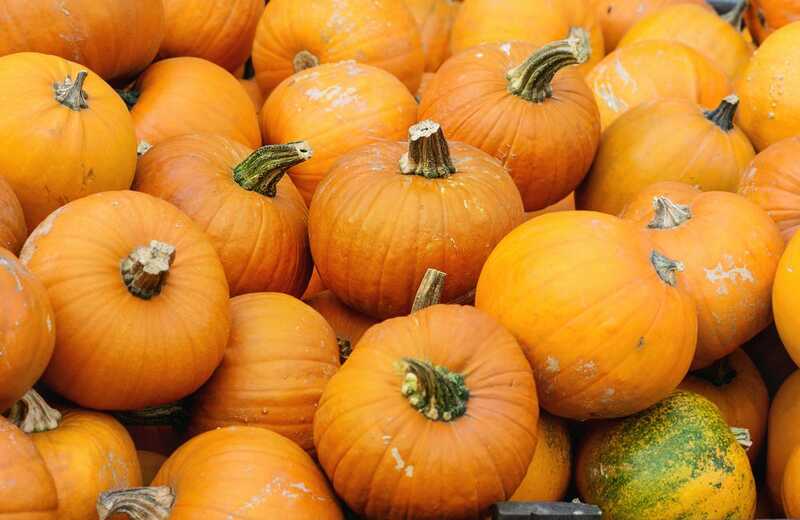 Pumpkins, like other squash, are native to North America. 2. The name originates from the word pepon which is Greek for “large melon." 3. Scientifically speaking, pumpkins are a fruit as they contain seeds but when it comes to cooking, they’re often referred to as vegetables. 4. Pumpkin is one of the best-known sources of beta-carotene, a powerful antioxidant that gives orange vegetables and fruits their vibrant colour and is converted to vitamin A in the body. 5. Pumpkin is low in calories and high in fibre. 6. Pumpkins seeds are packed with potassium and magnesium which can help lift your mood. 7. According to the Guinness Book of Records, the heaviest pumpkin recorded weighed 1,054 kg (2,323 lb) and was grown in Switzerland. 8. As a food, pumpkin can be baked, roasted, steamed or boiled. Do you have any pumpkin recipes you’d like to share with us? Simply click on the comments link below. We’d love to hear from you.